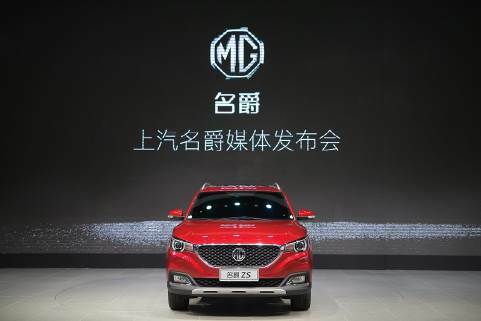 SAIC Motor organized the world premiere of MG ZS, “the first Internet SUV for young generation “made its debut in the 14th Guangzhou International Auto Exhibition. 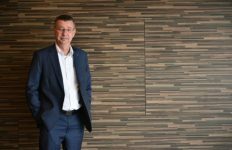 It will start selling in the early next year. Meanwhile SAIC MAXUS Automotive Co., Ltd (hereinafter referred to as “SAIC MAXUS”) bring all-star lineup leading by the MAXUS T60 pickup which makes global debut. 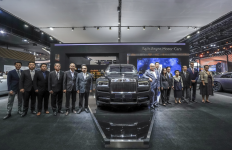 The T60 pickup is the first pickup with the global business strategy of SAIC Motor. The appearance of MG ZS, open the internet car era, and provide more choice for young Chinese consumers with the characteristics of the times. Meanwhile, it refreshes the recognition of first car in life for the generation born after 1985. Dialogue to young people: MG ZS, only choice for the first car in life. The young people in the forefront of the era expect higher for their first car. The young people born after 1985 grew in the information era, with the Internet. 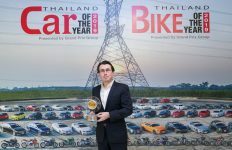 For them, the car is not just a means of transport; there should be more internet functions. That means, in the eyes of young people, the internet car is only choice. Adhering to the principle of “car for young people”, MG create the first Internet SUV, MG ZS for young generation. It will be the symbol in the market. MG ZS equipped with the most cutting-edge intelligent Internet system, truly a unique ID for the car, so that each user has an independent ID logging in the internet car life. The system can realize the functions of remote control unlocking and open air-conditioner, and other convenient life of human-vehicle interconnection. At the same time, it embeds the natural semantic technology, and users can open and close the sunroof, temperature regulation, music playback and navigation, etc.by a simple oral command. Hands free from the cumbersome operation, focusing on driving, which ensure a safe ride. The intelligent travel custom function of MG ZS is the finishing touch. Its flexible adaptive navigation, based on the filtering of big data, massive online real-time updating of map, providing the most humanized road guidance. With zero engagement of the driver, the system is capable of independent route planning, map zooming by speed and responding to road condition. At the same time, the MG ZS achieved a double-blind positioning. In the absence of signal blind spot, it can accurately lock the destination, and use the 4G network in car LAN to share wonderful journey. 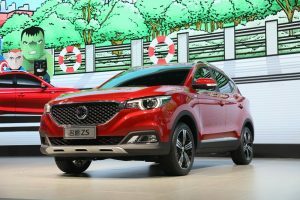 MG ZS, the first Internet SUV for young generation, even if not talking about its absolute advantage of internet car, the young customers will still be attracted by the features. 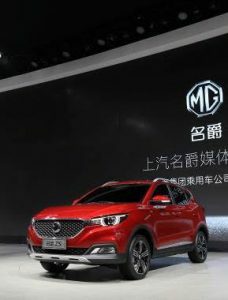 Keeping the gene of speed and sporty, MG launched a new design concept – “sensibility design”: integration of international mainstream concept, compatible with the popular elements, MG ZS create the international style for young generation. MG ZS pay tribute to the proportion of European classical aesthetics, the outline shows vivid and elegant. From the tail, it looks solid, full of power. The draping shoulder, tight beltline and drawn-backward side windows, which will be the core of next generation MG design. In body, the international style is also in hot stamping, galvanized sky-star grille; the headlamp from the inspiration of London eyes; The Big Dipper-shape tail lamps are like beacons in a dark sea, showing the way forward. The emotion at young needs the vision widely. Another stunning feature of MG ZS is the large panoramic sunroof. The sunroof size is 1365mm * 870mm, open area reaches 0.83 square meters; the open distance is 695mm.It’s the best in the segment, providing the extension space, for advocating freedom of young consumers to create an open driving space. For the power, the MG ZS is equipped with SAIC’s world-class Net Blue power technology engine, using in-cylinder direct injection turbocharged and other international most advanced technology. The 1.5L turbo engine has the maximum power of 168 horsepower, allowing an excellent dynamic performance and the 1.0L turbo engine has the maximum power of 125 horsepower, offering the strongest performance of all cars at the same level, when taking the fuel-saving into account for environmental protection. Meanwhile SAIC MAXUS also launched T60 pickup, satisfies the diversified needs of customers with the concept of C2B For more than a hundred years, the automotive development is only limited on technology and production scale, while the business model has never been changed, however, SAIC Motor sees the opportunity on new business model in the Internet era, which means the flexible manufacturing based on satisfaction the diversified needs of customers, and regard it as one of the 3 major trends together with the new energy and intelligence. 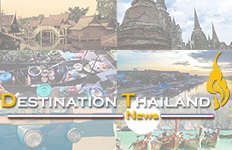 Meanwhile, SAIC MAXUS T60 pickup also accelerating its pace on overseas business, and enhance sales volume, the overseas sales is expected to account for 50% of its total sales which makes it to become a truly global product. T60 has “the world’s 5-star safety”, designed based on the latest Australia A-NCAP five-star safety standards, the positive thermoforming technology is first used in pickups, and it significantly enhance the body through the laser welding strength, adopt the “five-star security” with multiple security configuration such as6 airbags, 360 look around images, LDW lane assistant system, which grantee the drivers with a full range of protection for a safe ride. T60 has “excellent driving experience”, the first equipped with 6AT automatic transmission pickup in China, with smooth shifting, a keyless entry function with PEPS, equipped with automatic air conditioning, cruise control, 6 direction electric heating seat and other intelligent technology configuration which providing pickup users with unprecedented comfortable and comfortable driving experience. T60 has “rich personality customization”, it is customized with concept of C2B, and achieve full coverage of the product spectrum, including Comfort Edition, Fruition Edition, Elite Edition, Deluxe Edition, Flagship Edition; T60 configuration to break the border, providing a variety of body structure, gasoline/diesel, two-wheel/four-wheel drive, manual/automatic transmission, high/low chassis and other free products combined to meet the variety needs of customers. T60 has the “Intelligent Internet Experience”, adapted intelligent system YunOS, which joint developed by SAIC Motor and Alibaba, and itprovide smart car steward, online inter-connection, remote control, voice recognition and other intelligent features for the pickup user unprecedented intelligence interconnected.